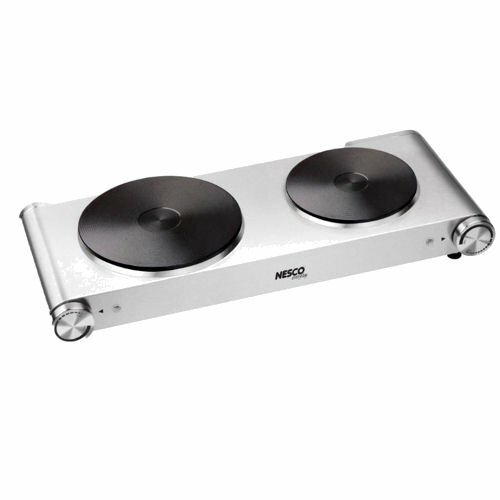 Prepare meals anywhere and in any number of ways with Nesco's double Electric Burner. Its cast iron plate and stainless steel housing make it effective and easy to use. It includes adjustable temperature control, built-in protection from overheating, and skid-proof rubber feet.